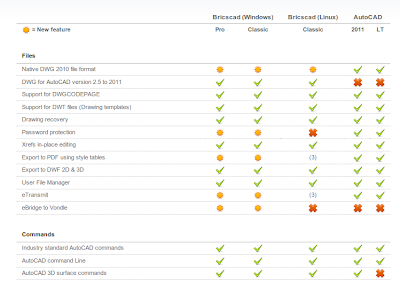 To all lInux (ubuntu) user who almost waiting for a powerfull CAD application builder for linux, here they are the most powerfull CAD application running on both windows and linux from Bricsys named Bricscad. From the official website : "Bricscad™ is the powerful DWG-alternative CAD platform that enables DWG-based applications to serve the growing markets of GIS, AEC, mechanical CAD, and civil engineering". Bricsys products are available in 15 languages, with more languages in development. Bricscad is the powerful DWG-alternative CAD platform that enables DWG-based applications and offers a complete and recognizable feature set to professional users. Here are 10 reasons why to choose Bricscad. If you are Autocad user this application could be alternative application that support your work, there are several function that bricscad is more applicable than Autocad. Check this ..
“We consider Bricscad V10 for Linux as a milestone for our company. Despite doubts of many about the viability of a native Linux based professional CAD product, we are convinced that there is a strong demand for it and a huge potential for applications. A fully-functional 30 day trial period of Bricscad is available for Fedora, OpenSuse and Ubuntu 9.10 or above. License keys can be purchased for around £365.00.